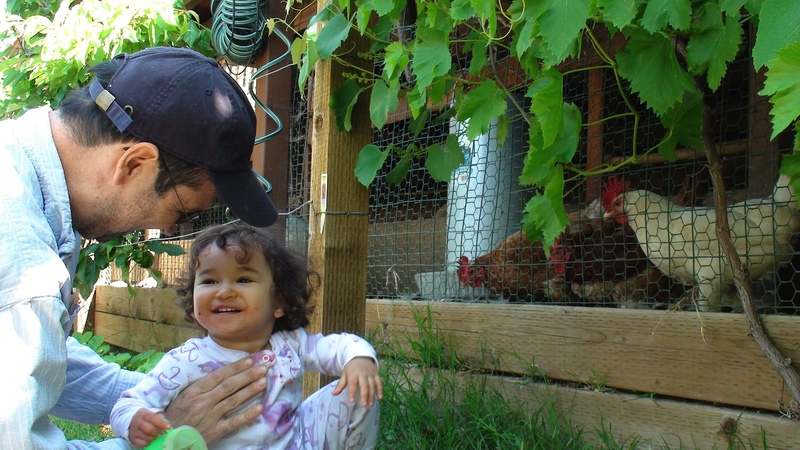 Gabby’s bees and coop – A urban farmstead oasis in Palo Alto with everything on urban farm from chickens, gardens, orchard, and bees on the roof. 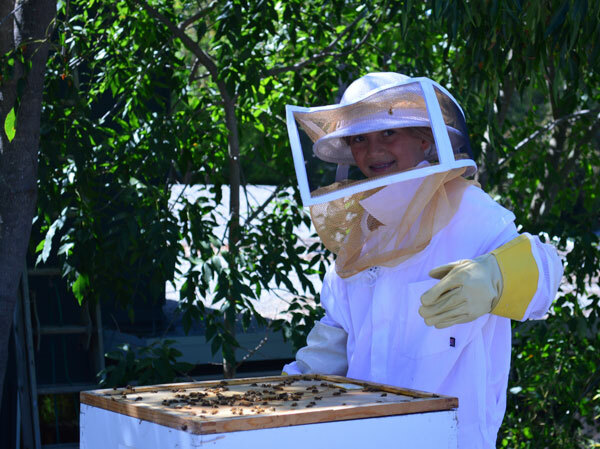 10 year old, master bee keeper Gabby will be there to show you her bee farming skills. Bee suits optional. 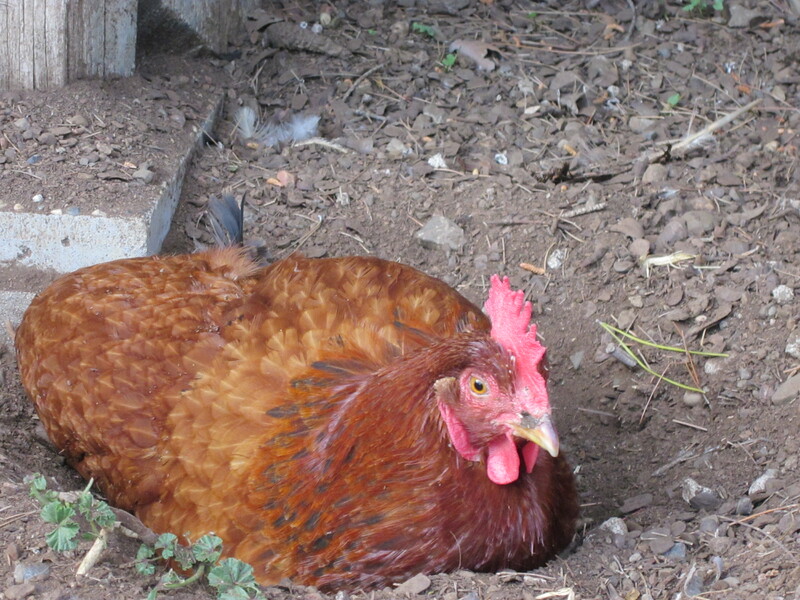 Little Red Hen House – Our current six hens are the latest generation of chickens that have inhabited the back corner of our edible garden for the last 50 years or so. 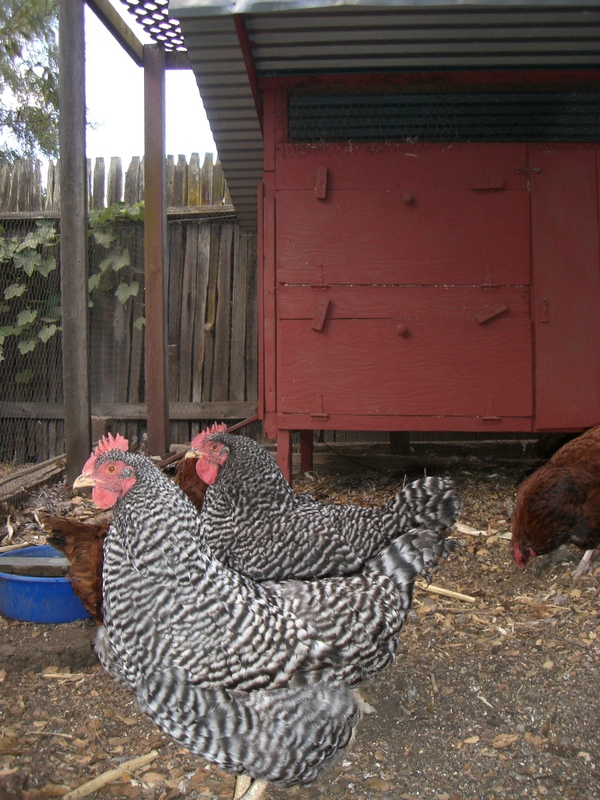 The ladies live happily in a house and coop that I hammered together out of salvaged lumber about 20 years ago. 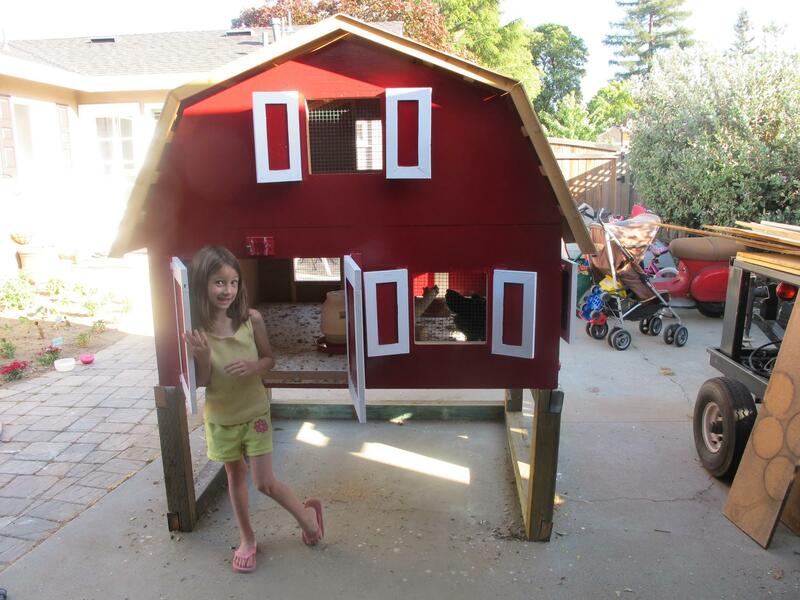 The California Coop – Small footprint 5.5 ft x 5.5 ft. Built from recycled wood. We have six hens and they have a small yard attached. 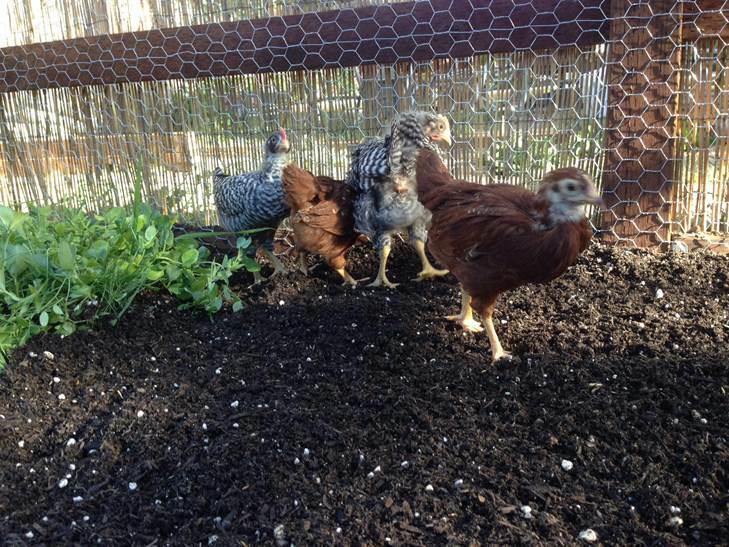 Bunratty Coop – We have 19 happy chickens, we have an interesting grey water system, and an organic garden. 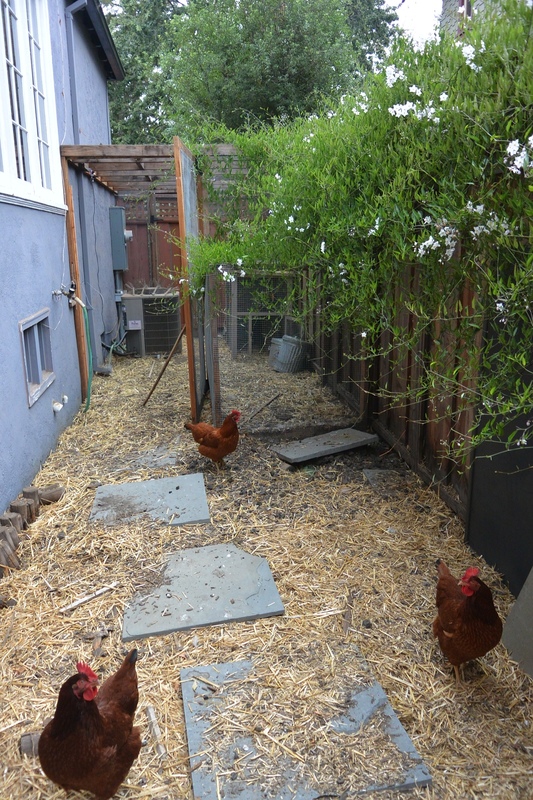 Suburban Coop – We have three lovely ladies, Cluck, Roast, and Freedom that call Menlo Park home, along with Stella (Dalmatian mix pound dog.) Come visit a suburban coop that manages to carve out 10 x 30 feet of chicken run inside a “postage stamp” lot of 50×100! Veggielution – This community garden organization is a model for every community. 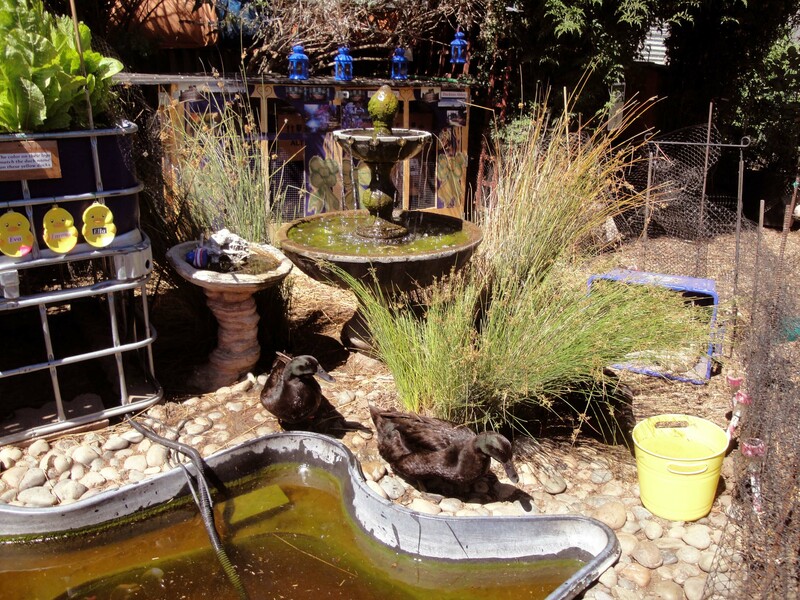 Duck-a-ponics – This unique San Jose urban farm has the famous duck-a-ponics system of using duck pond water to nourish the vegetable garden plants. 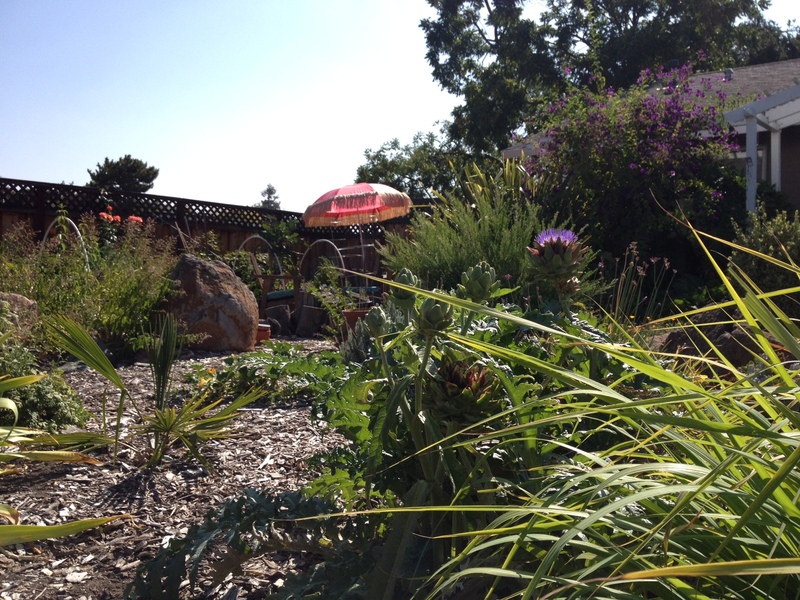 Fowlfoy Manor – We have a mostly California Native garden with no mow grass, a thriving bee hive, and worm bins. We have a small plot in downtown San Jose and we’re trying to use what little space we have to our and the environment’s best advantage. Little Coop on the Prarie Our barn styled chicken coop houses 6 happy birds that provide our family and friends eggs daily. 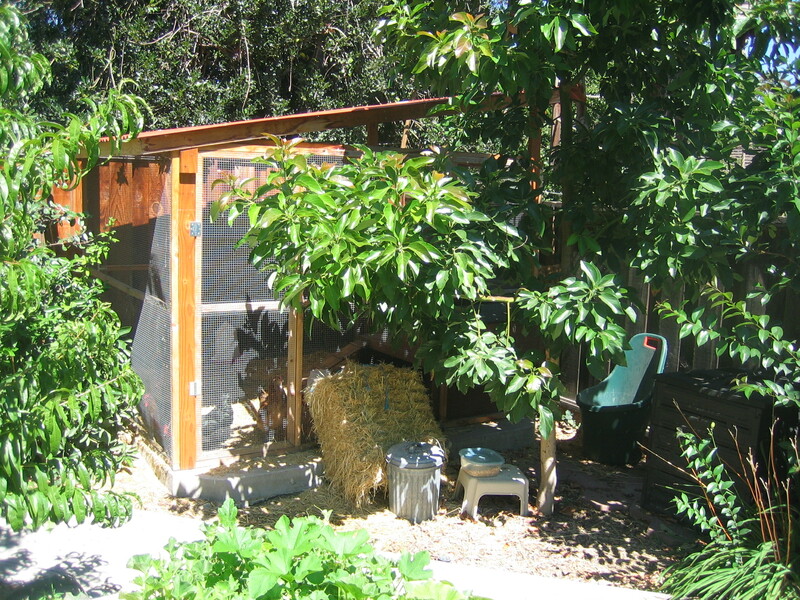 The coop was built using recycled, repurposed building materials. Its sits elevated on top of a pressure treated lumber foundation. 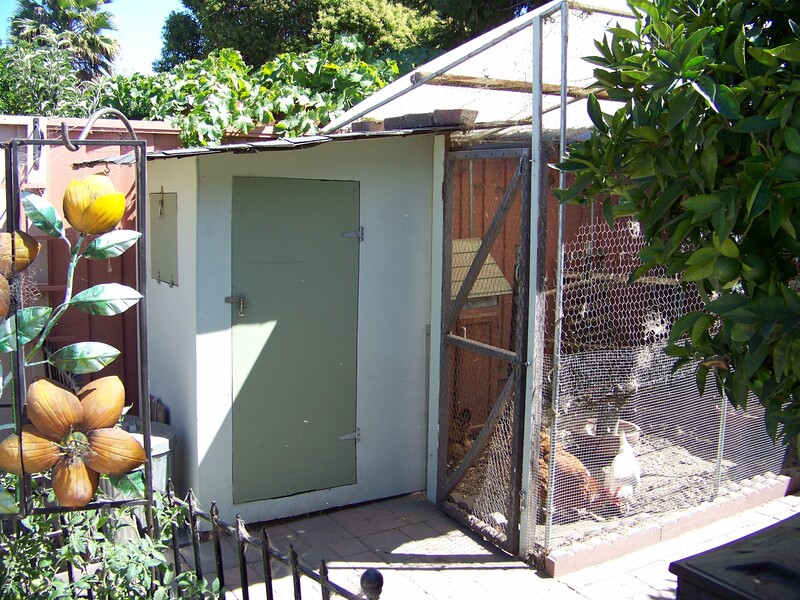 The nesting box is approachable from the outside of the run area which is situated in an unused strip of land located between our back fence and detached garage. The secure roosting area is suspended underneath the gambrel roof and constructed from stout branches. Sloped Yard Run -Backyard on a steep slope with deck. Coop and Run are ‘under’ the deck. 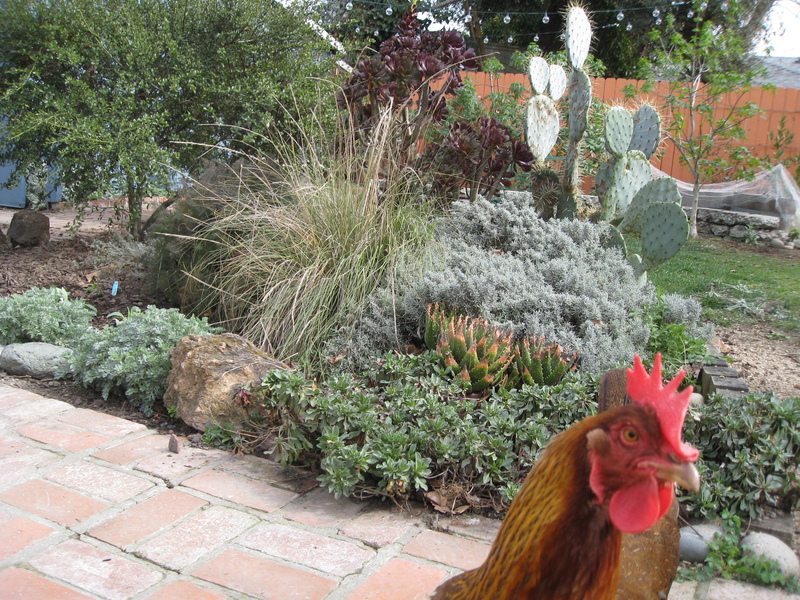 2-4-6 Farm – Our edible backyard garden is interplanted with California natives and other water-wise plants. 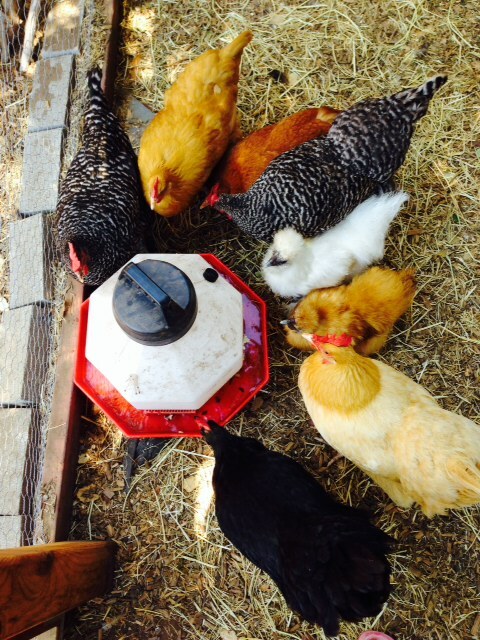 Fertilization and pest control is covered by our 2-legged, bug-foraging hens. Our 4-legged dogs keep the squirrels at bay, and pollination services are provided by our hard working, 6-legged bees. The 2-4-6 Farm flock is a mix of one Silver-laced Wyandotte, two Rhode Island Reds, and two Buckeyes. We acquired our heirloom Buckeyes (now 1 year old) from Sustainable Poultry Network-certified breeder Tom Dinwoodie. In anticipation of planting our garlic, onion, and shallot crop this Fall, you’ll see our girls hard at work in our waning Summer vegetable garden beds. They’ll turn the soil, add fertility (aka poop), eat up the remaining plant material and generally prepare the beds for Fall planting time. Farm Divia – Welcome to Farm Diva! We like to think of our space as “urban farm meets cocktail party.” Murphy, our so sweet Great Dane, will happily show you around and introduce you to the girls: Esther and Astrid (Easter Egger, Australorp). We are also in the process of introducing 3 chicks into the flock. Our girls share the yard with 2 beehives and 4 large veggie beds. 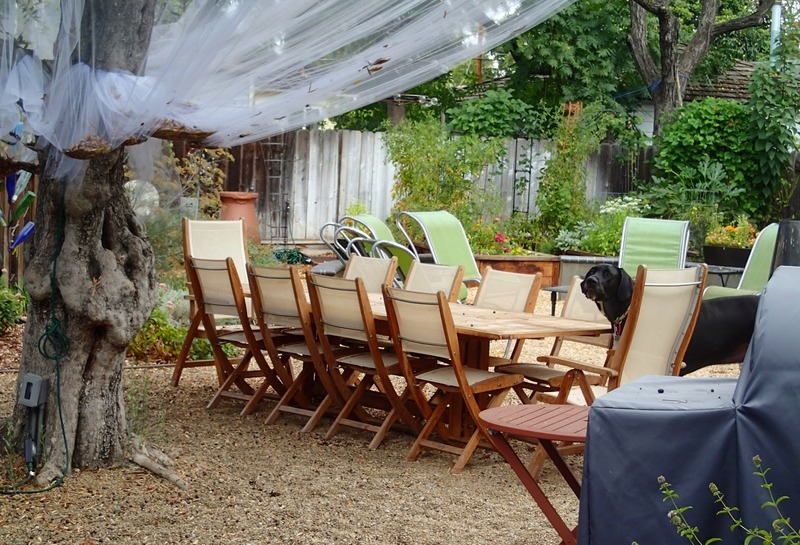 Because we do entertain in our yard, it was important to us that the coop area, the growing beds and the living spaces work together- a balance of comfort, function and artistry. The Puff Bottom Girls -For the tour, you will see our chickens, coop, run, and garden, with at least two members of the flock working in the Mini Cooper on the remains of the summer garden.We will also offer at a reasonable price home-published chicken-fiction and chicken-poetry, courtesy of the resident young author/illustrator. Visitors will be invited to make a pinwheel for peace that they can affix to their bikes. September 21 is International Peace Day so let’s celebrate with old-fashioned neighborliness, livestock, and crafts! 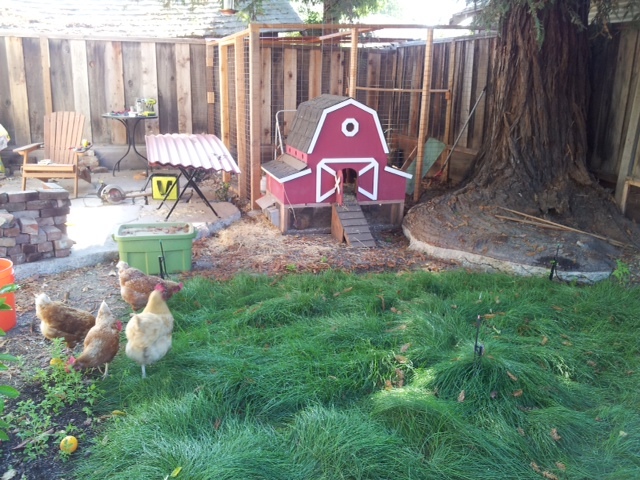 Veazie Villa – Casa de Chica’s – Coop, Hoop Houses, Garden and Solar on our home. 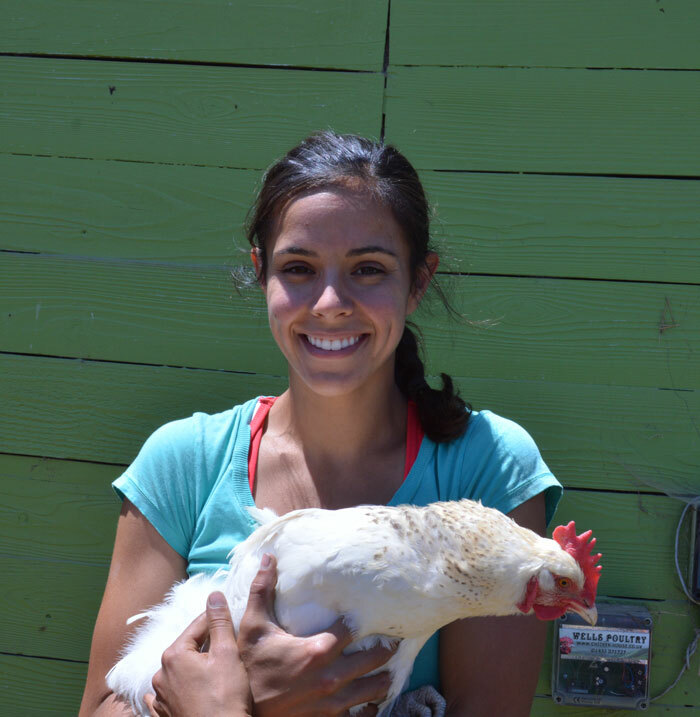 Kasso Coop – This unique Los Altos urban farm has been a favorite of the coop tour since the first tour. 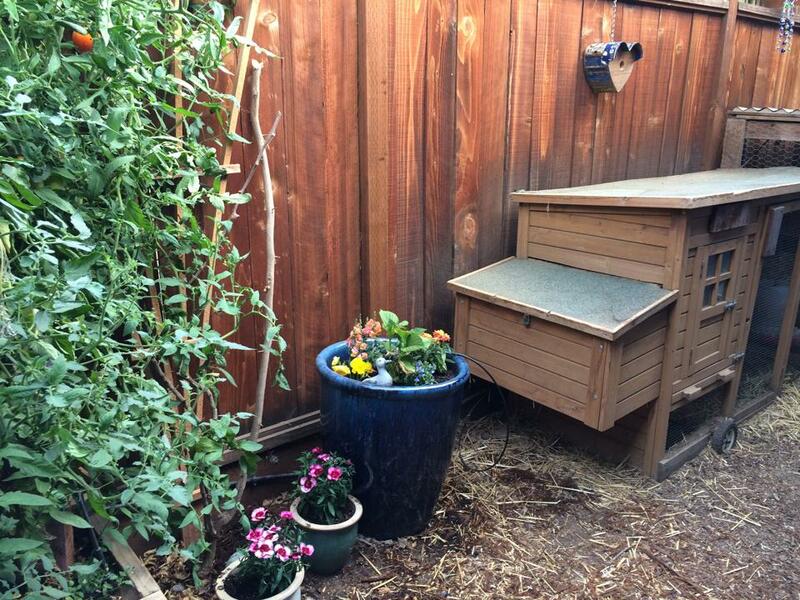 This small, urban lot features everything from coop, garden, bees, vineyard and more. Downton Eggy – Downton Eggy is currently home to 8 lovely ladies, including 2 bantam Silkies, 2 Buff Orpingtons, 2 Barred Plymouth Rocks, an Autrolorp, and a New England Red. 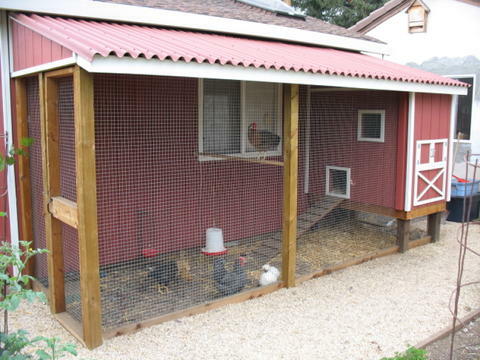 The home accommodates both large and small breed chickens equally well and does not provide any favored lifestyle for the upstairs chickens. 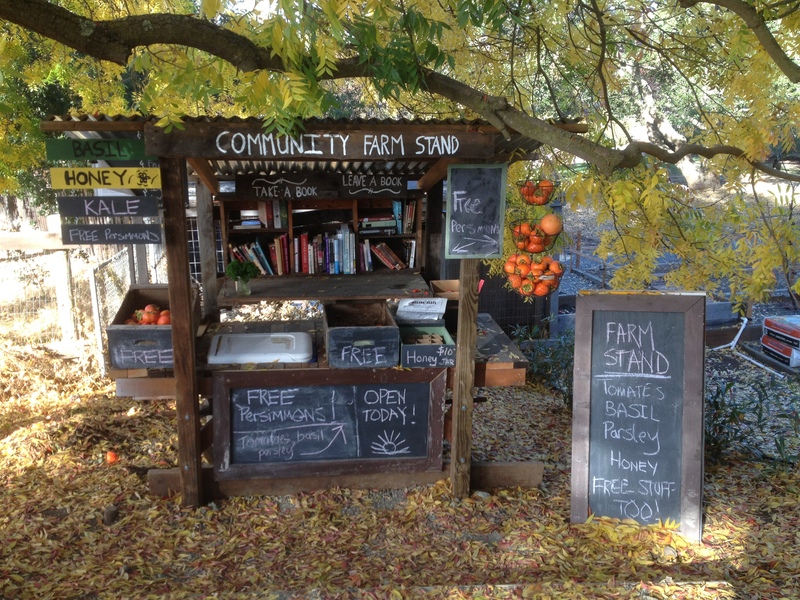 Hartley Coop and Farm Stand – The Hartley Farm, Coop and Farm is an inspiration to everyone to see what a neighborhood farm stand can do to connect neighbors and create community. 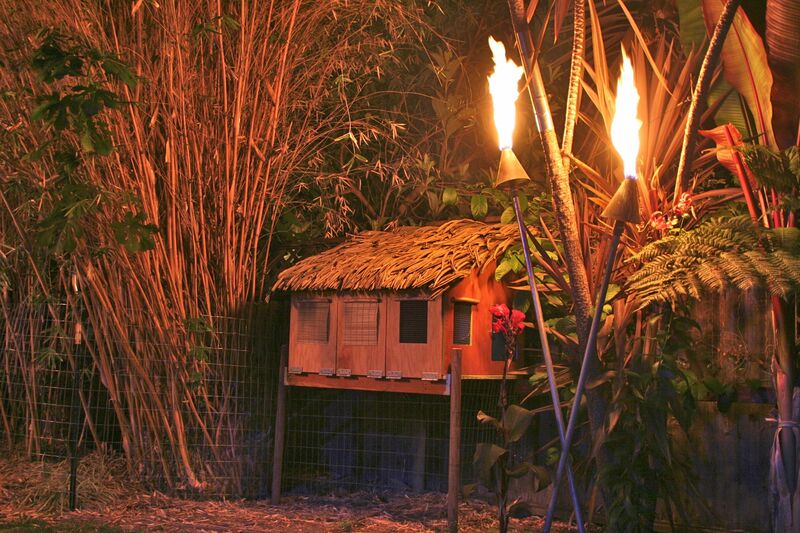 Tiki Coop – This unique coop is a tropical themed coop you won’t want to miss! 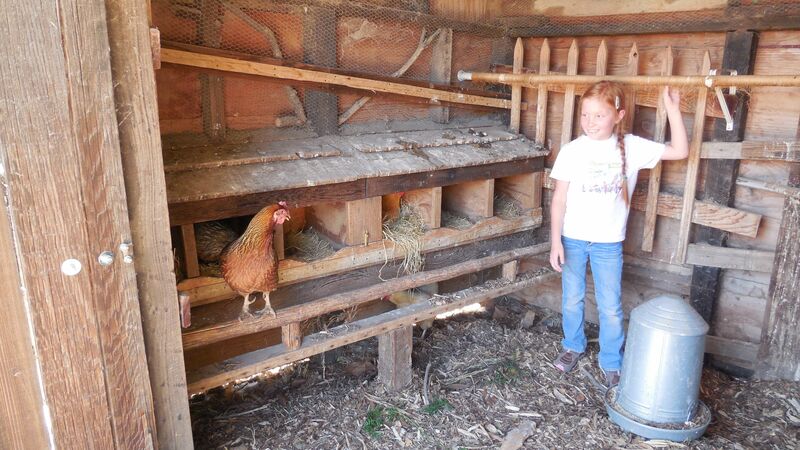 The Homesteaders chicken coops are located at the 4-H ranch along with vegetable gardens, bee hives, a rabbitry, and a barn. Our ranch is unique in that it is run by the youth, for the youth! 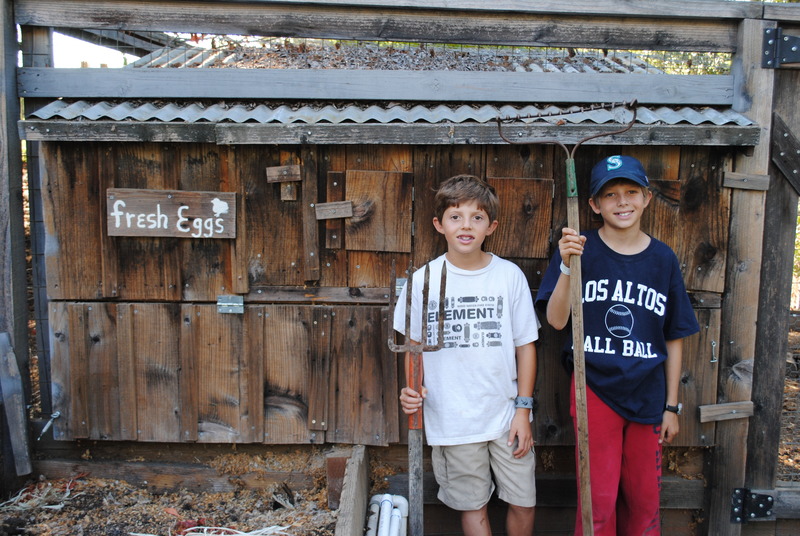 The Homesteader’s farm is the last working farm in Santa Clara. It serves roughly 600 youth per year, giving tours to the local schools and holding open houses. The ranch features a large organic garden and compost, a bee project with 4 hives, many chicken coops, market turkeys, sheep, goats, and a rabbitry all tended for by the youth members. 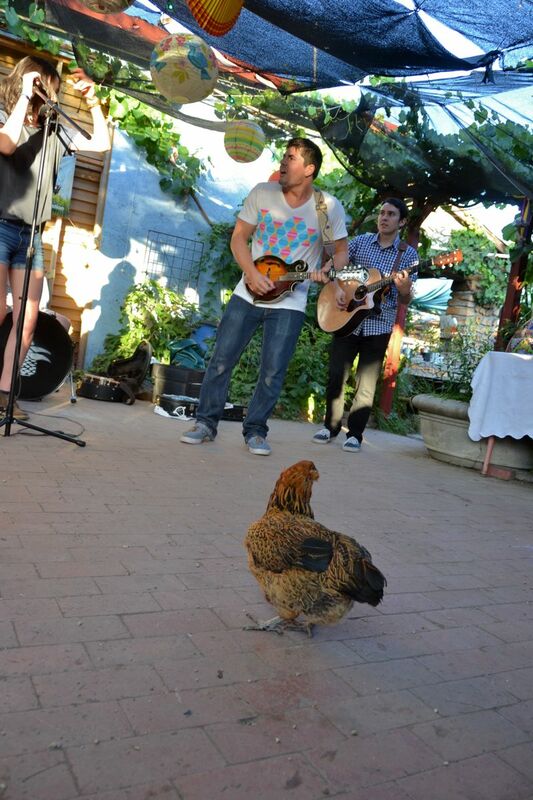 Full Circle Farms – Come and relax with the chickens and then wander around our beautiful community farm. Alpine Butterfly Lodge – We are a house based on intentional community, and we have had up to ten people living here at one time over the past 14 years. We participate in a community supported agriculture program, have photo-voltaic panels for our electricity, and heat our pool with solar thermal. Sometimes I manage to plant vegetables in our front yard, but our herb garden continues to do well regardless. We have several fruit trees that mostly produce fruit for the squirrels, and an avocado tree that voluntarily started growing from our compost. 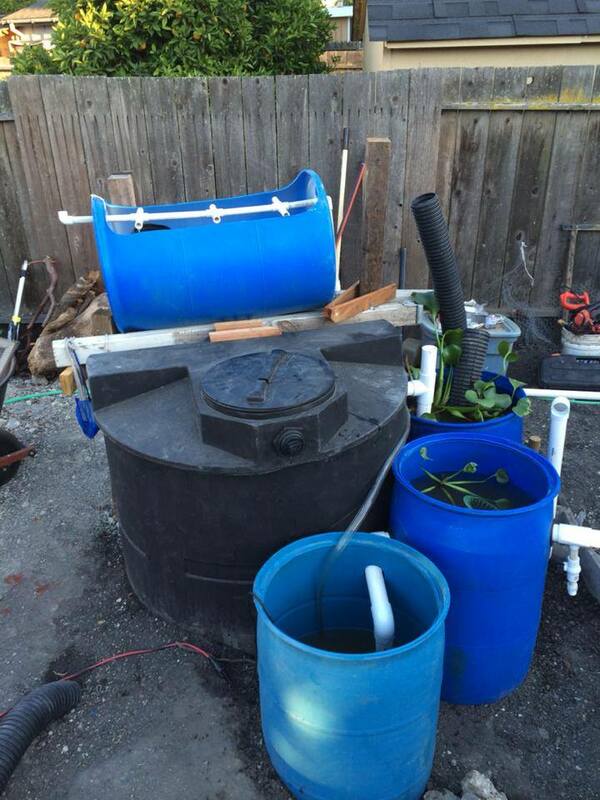 Flying Horse Farm -We grow vegetables in the front yard, and aim to do most of our outdoor watering with rainwater stored in our two 1700 gallon cisterns. Because it hasn’t rained here since February, our cisterns are currently dry, but last year they lasted until August, and the previous year we were able to water exclusively from the cisterns for the entire year. Pirate Produce – This coop stop offer unique aquaponics, gardens and chickens. 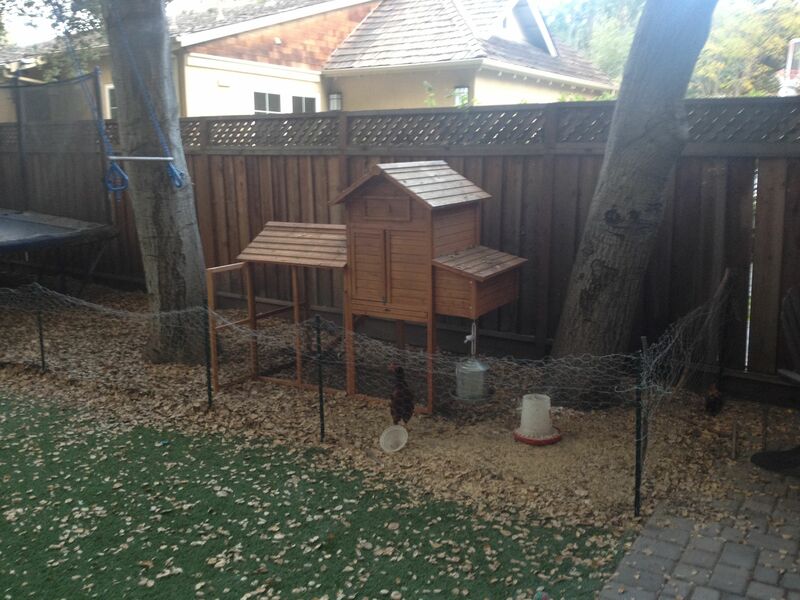 Redwood Hen Haven – After a few raccoon disasters in past years, we built a sturdy raccoon-proof dwelling for our hens when we moved to a new house. We nestled this enclosure against the side of our house, utilizing a space that would otherwise have gone largely unused. During the day the hens have the full run available to them, and at night they retire to the safety of a fully enclosed run with coop. We’re also happy to show you our 8 young fruit trees and growing backyard garden, as well as an 8-year-old grape vine that we are training along our trellace. The Campbell’s Urban Homestead – A front yard pumpkin patch, front yard edible gardens and a chicken coop construction project. Come pick fresh raspberries, visit a holistic nutritionist, and see a coop in the making. The Campbell’s Urban Homestead is a family friendly stop with a Kitty just begging for a belly rub. 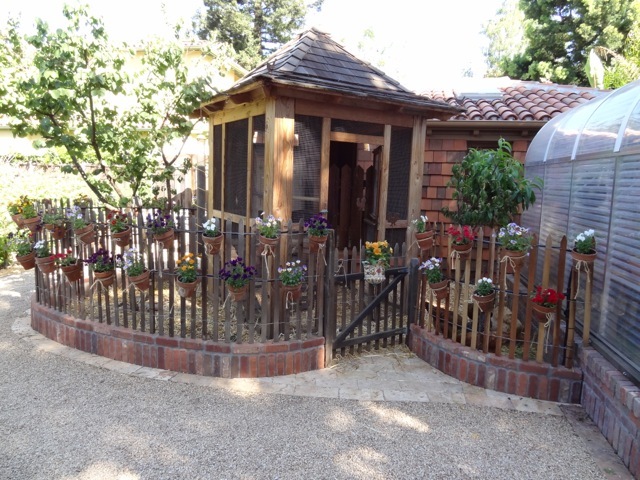 Purple Palace Poop Coop – We customized a store bought coop to provide additional, protected space. We then continued to improve the side yard walk area to include a vegetable garden, garden art, and an herb garden on top of the coop. Chic-Rustique- Urban Coop – Come and see our Pampered Poultry of Fabulous Female Hens including the unique Dominique, Lavender Orpington and Golden Laced Polish. 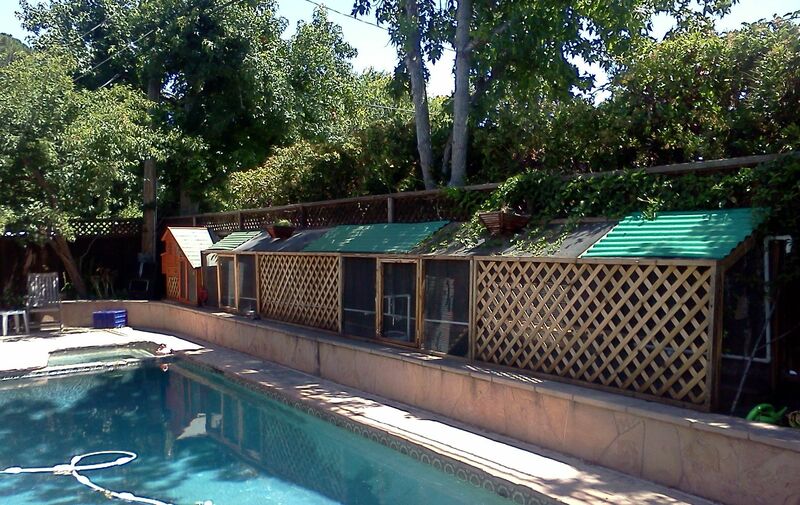 Cozily nestled in a quaint, well-maintained and beautifully appointed garden, complete with roomy chicken run. 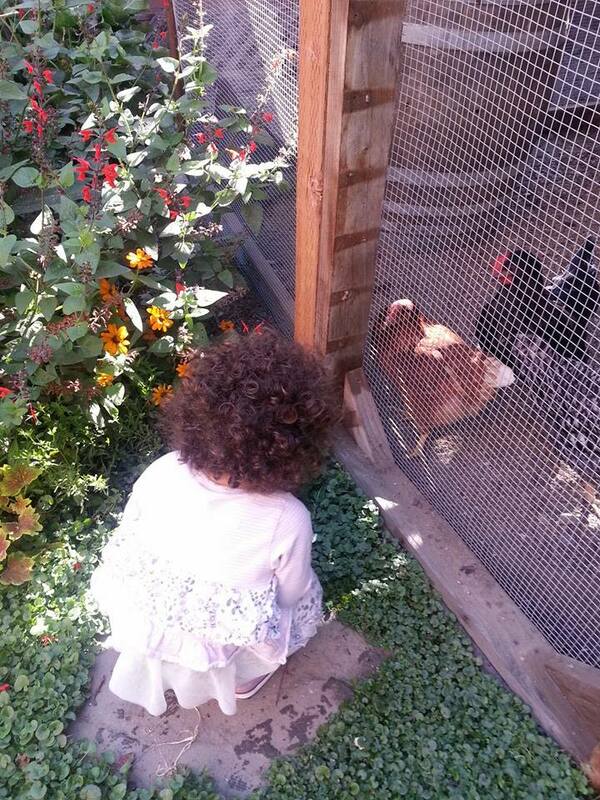 This family-friendly “farmyard in the city” is a perfect destination for kids of all ages.